Most people wouldn't think to put southern and fashion in the same sentence, but the South is starting to earn the recognition it deserves in the fashion industry, and Charleston is largely responsible for that. Shoptiques.com lets you shop over 5,000 of the world's best boutiques online. When you think of the South, what comes to mind, pulled pork sandwiches, home made sweet tea, corn on the cob, falling off the bone spare ribs, BBQ stained T-shirts? It's clear that the South has made a name for itself in the food industry. Food is their forte, but what about the other f word, dare I say fashion? Most people wouldn't think to put southern and fashion in the same sentence, but the South is starting to earn the recognition it deserves in the fashion industry, and Charleston is largely responsible for that. When I took my first trip to the Carolinas I was expecting to go hiking in the mountains, ride in four wheelers, jam out at a country concert, maybe run through a field of corn, and of course, eat delicious food. What I didn't expect was to have a Soho worthy shopping experience. While in Charleston, I found myself filling up shopping bags with unique finds and being the boutique and vintage lover that I am, I was grinnin' like a possum eatin' a sweet tater. Although Charleston is nestled within the sleepy south, it's vibrance should not be underestimated as it is filled with amazing restaurants and some of the most unique shopping around. The city is cosmopolitan, but Charleston has not misplaced its traditional charm. During my time in Charleston, I picked up on a little something called southern hospitality. For those of you who have never had the pleasure of experiencing it, southern hospitality is what you call southerners warm, friendly, and welcoming attitude towards visitors. I will carry on the southern hospitality I experienced by sharing with you all the wonderful places to shop, eat, and see while in Charleston. 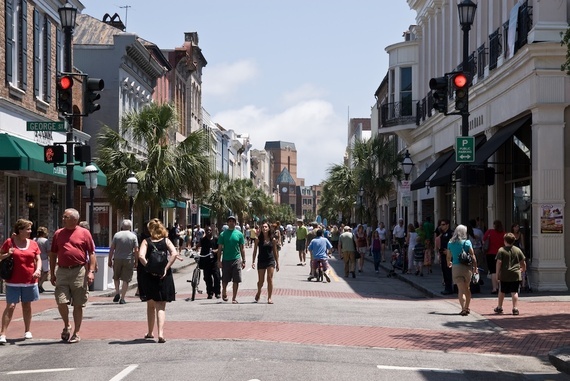 King Street is the main attraction, as the strip that leads to the historic battery marks an area that is overflowing with shops. But before heading there, you must begin your shopping quest in Mount Pleasant, a quaint suburban town just outside of downtown Charleston, which hosts some of the cities best boutiques. Your first stop must be Two Brunettes. The Two Brunettes boutique is special because it combines two unique perspectives on fashion, Leslie Leigh's and Sarah Leigh's. The two sisters had always dreamed of opening up their own boutique and in 2007 they made that dream come true. Charleston gives up and coming designers from the South a place to showcase their work. Your next stop, Teal on Belk Drive is the spot to go for new designers and unique lines. The boutique really adapts to its surroundings as it offers women fashionable clothing to wear on game day. The boutique also has their own fashion blog, one worth checking out. Ok, now its time to head over to King Street in Charleston (locally referred to as "Chucktown"), where you will find a plethora of shops. So hop back in your car and head for the Arthur Ravenel Bridge, commonly known as "the connector," which is a must-see itself! Opened in 2005, the bridge hovers over the Cooper River and is a whopping 8 lanes wide. Your next stop in Charleston is the boutique- Library by Lauren Lail, an experience that will drag you back in time. Walking into Library is like walking into some sort of beautiful dream; the space flooded with sunlight. Traditionally focused on vintage wears, Library now includes Lauren's own label line that is inspired by the past. Shopping can build up quite an appetite, which is perfect because like I said earlier, the South offers the best food. Head over to Butcher and Bee, where you can feast on a good old hand-crafted sandwich. 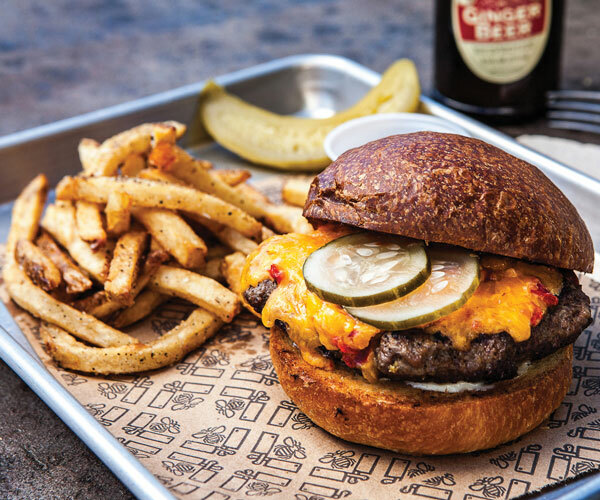 Putting a gourmet twist on classic southern comfort food, Butcher and the Bee features local ingredients and reasonable prices. Their menu includes fried chicken, Carolina Trout, double cheeseburgers and sausages among other mouth-watering options. Once you experienced the pleasure of southern food, keep cruising down King Street and head directly to Dandy, located just off King on John Street. For those of you who always felt like you were born in the wrong decade because of your love for vintage clothes (like me), then you will have a blast in Dandy. Dandy has created a vintage-inspired lifestyle boutique. What makes this shop extra special is that they create custom headpieces and other accessories for their customers! Next, Blue Bicycle Books, which is not just one of those bookstores you pass through - it's a destination in itself. This charming used bookstore will make you wish every day was a rainy one so you could explore the store for hours and curl up in a comfy chair. The next store in your Charleston excursion must be House of Sage--another Charleston staple. The store is Eco-friendly, which can be very helpful when you trying to justify your reckless spending. Located right near the College of Charleston campus (and on the same street that a scene from The Notebook was filmed!) House of Sage is a major favorite for the college crowd. 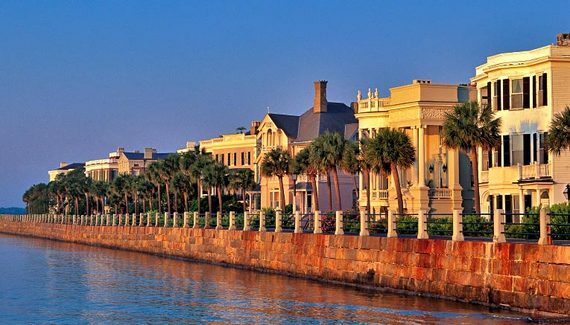 While in proximity of the College of Charleston, check out the campus because it is a sight to see itself. For those of you who went to a large University, seeing College of Charleston's campus will leave you curious about what it might have been like if you went to this quaint little college. The college is one of a kind with its pre war plantation homes used for administrative and classrooms purposes. The entrance of the school is framed by a canopy of trees and the Greek life homes are right out of a movie scene, including pink sorority houses with flower filled window boxes. The campus glows with southern charm! As you continue down King Street you will stumble upon Finicky Filly and Haute Hanger. F.F. and H.H. are run by a mother-daughter duo, and they are both truly FFHHab. If you crave some edgier yet chic pieces, then Sam's Closet should be your next stop. The shop is located in double gallery historical building on Wentworth Street, just steps away from King Street. And to add to the fun, you may catch a glimpse of owner Samantha Molgren's faithful pooch Bradshaw minding the store too! So now that I have won you over by describing mouth watering food, and wallet emptying shopping, I bet Charleston South Carolina is on your list of stops for your next road trip. P.S. Tide To Go is a must bring just in case the yummy comfort food gets a little messy and ends up on your beautiful new clothes!